Advanced Markets at the London Summit 2017: what to look for? Advanced Markets / News / Advanced Markets at the London Summit 2017: what to look for? This year marks the sixth year for the London Summit, organized by Finance Magnates. The event has always attracted hundreds of FX industry leaders and LS 2017 wouldn’t be an exception. 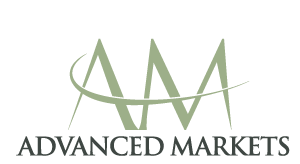 Advanced Markets, the industry’s leading Prime of Prime and wholesale provider of liquidity, technology, and credit solutions to banks and brokers, is once again exhibiting at the Summit (Booth 35). As a recognized thought leader, this year too, we will be sharing our knowledge and expertise with the industry participants and Summit guests. We cordially invite you to attend a workshop “Top 5 Growth strategies for FX brokers“, presented by Natallia Hunik, Global Head of Sales at Advanced Markets. In an increasingly competitive marketplace, brokerages that find it difficult to grow their business are immediately put at a competitive disadvantage. During the workshop seminar, Natallia will explain potential growth options for both large and small brokers, including expansion through M&A and moving into adjacent and complimentary industries. The workshop will take place on Wednesday, November, 15th at 15:45-16:15.